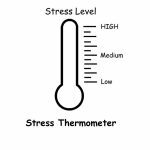 Being overwhelmed and stressed out is taxing on both a mental, emotional and physical level. 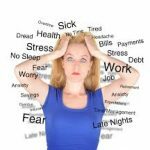 The negative impact of stress reaches far and wide in our culture of busyness, noise, and connectivity. Some medical experts report 85-90% of all illnesses have stress as an underlying factor! During this month of Stress Awareness, take some time to explore what triggers you to feel stress. Do you find yourself always complaining about the traffic and how irritating it is? Do the lines in the stores have you sighing and feeling impatient? Do all your to-do’s and the never seeming to end list drive you to grit your teeth and feel out of control? Take a few minutes (or longer!) to simply write down all your triggers to feeling stressed. 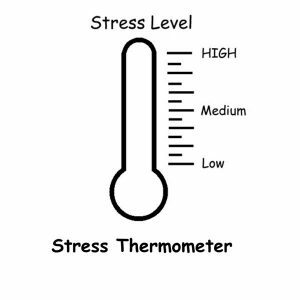 Now, after you’ve done that and you’re aware of your triggers, take a closer look at what are your signs, symptoms and feelings of stress? And…where do you feel the stress in your body. This will help you identify when stress wants to sneak up on you! a tightness in your gut? Here are some signs, symptoms and feelings of stress can be quite common. Notice if they apply to you. If you find any of the above speak to you, or anything similar-great! You are now aware of your signs and symptoms of stress. This is Stress Awareness Month. This is the first step to making a change! I imagine it’s in the medium-high range if you related to any of the signs and symptoms above, yes? It’s simple, nothing to buy, it’s using your breath to support your mind and body to slow down and bring in more oxygen. When you bring in more oxygen, your muscles start to relax and your entire physiology begins to change from stressed out to more calm. You activate the Relaxation Response, a term coined by Herbert Benson, which is the body’s recovery state following stress. I know…so simple, yet so effective. Begin with a normal slow breath. Next, breathe deeper, with your focus on your abdomen and imagine you are filling your abdomen up like a balloon. Your belly will expand…as you take in that wonderful life giving element oxygen. Simply inhale and expand to your comfort level. Now…let your breath out slowly….and just feel your belly sinking back down. Do this several times, then assess yourself and see how you feel now. 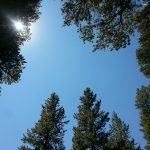 What do you notice in your body after doing a few rounds of Focused Calm Breathing? I would imagine you feel a bit lighter and freed up in your body and mind! So, quick and easy to do with fast acting results! Anytime you notice any of those thoughts you identified above and/or the negative feelings in your body, you can simply stop and use your Focused Calm Breathing! There are many other tools and ways to get a handle on stress, you can check out my book to learn more tools and long term practices for your mind and body as well as seek support to work with your subconscious mind to find new ways to respond and reframe those stressors. Here’s to positively impacting your health and well being for the long run! Would love to hear about your experience practicing Focused Calm Breathing as well as any other tools you’ve found useful in getting stress relief! Create More Space in your life! 2 Responses to April Is Stress Awareness Month! For those of us who have anxiety disorders or bipolar disorder with severe anxiety Jackie’s breathing exercises work. If you are on medications and you have to wait for them to start helping this is a perfect way to wait for your medications to kick in. Denise, I’m am so pleased for you that you are using the tools in the book and the breathing exercises are key for you! Thank you for sharing!